I have strong memories of my first few weeks of secondary school in Dorset. It was a girls’ grammar school, my uniform was, for the moment, smart and new, and I still had a fresh faced optimism for such things as lesson timetables, back-breakingly heavy book bags and homework. 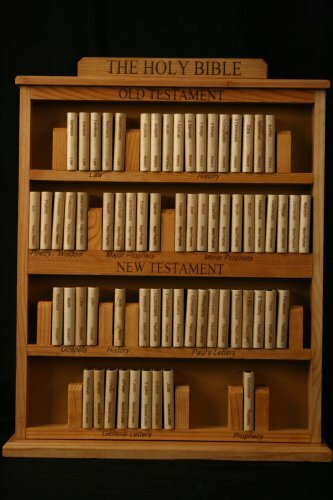 We had a lovely scripture teacher – scripture also being known as BK, RK, BS, RS or RE according to the era you were born in – and the first piece of homework she gave us was to draw a picture of a bookshelf with all the books of the bible laid out on it. Great fun – drawing, colouring in – just right for my scholastic inclinations. But then, the next two homeworks were to learn them. Well, I managed the new testament, which, being shorter, she gave us to learn first – Matthew, Mark, Luke, John, Acts, Romans, etc., etc.. But by the time we got onto learning the old testament books, my school uniform had deteriorated to the scruffy, unkempt state that was to prevail throughout my entire secondary education, and my attitude to homework had deteriorated in parallel. That bit of homework never got done. Which has caused me odd twinges of regret from that day forward. Not the life changing regrets endured by some over their wasted youths, just an odd niggle of self-irritation every time a sermon from the old testament is to be read in church. There are ’piety points’ to be earned here; but while every one else knows exactly where to find the reading of the day in their Bibles and turns to the correct place with smooth experience, I am left fumbling, rather too randomly, through Chronicles, Amos, Psalms, Ezekiel and all the rest as one might search for a needle in a haystack. 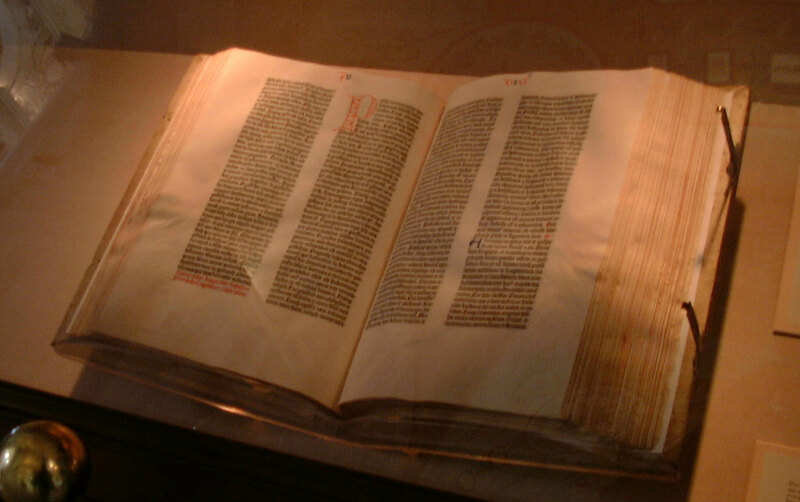 In fact, until quite recently, The Old Testament has remained obscure and often irrelevant to me – but not any more. I’ve been working through ’Bible in a Year’ by good old Nicky Gumbel, with all his supporting notes, explanations and contextuallisation. I’m being encouraged to read and make some sense of a rich store of poetry and prophecy, and a much bigger chunk of history; and yep, Im finding that when I truly get involved with this stuff, and give it the time it deserves, its authenticity and relevance become undeniable. Maybe piety points don’t matter that much. Maybe its just taking real time to study it that matters. Either way, with affection and respect for my long suffering, and eternally kind RE teacher, Mrs Stevenson, whose faith was palpable and who clearly had a real desire to set a bunch of bolshy girls on the right road, I would like to present our new single ’In The Bible’. Its lyrics might not solve any problems when trying to find something in ’The Good Book’ in a hurry, but in writing them, they have at least helped me piece together some of its key events in the order in which they happened. Hey-ho, you have to start somewhere. ‘In The Bible’ is released on August 21st 2015. You’re Not Coming Because of WHAT???!!! Great stuff. I deeply resented being made to learn the OT books in my first year of secondary. Whereas my husband learnt a SONG about it and can therefore recite them all to this day. But Nicky Gumble’s Bible in One Year IS the business – I agree. How can one purchase your single when it’s out? PLEASE tell me what the song is, that your husband learned! we girls had it all much harder, don’t you think? The single is available on iTunes and Amazon as a single track off the album ‘Love Can Be A Bumpy Road’. If I’m honest, I’m not quite sure what is planned…. sometimes our singles get offered as a free download… oh go on! Buy the album! Sorry… I’m sure I didn’t say that. Yep… we were there. Wearing our ‘it’s raining’ faces.